Thus Cleber can host any combinations of boards, there are particular applications and use cases that can be considered and described separately. 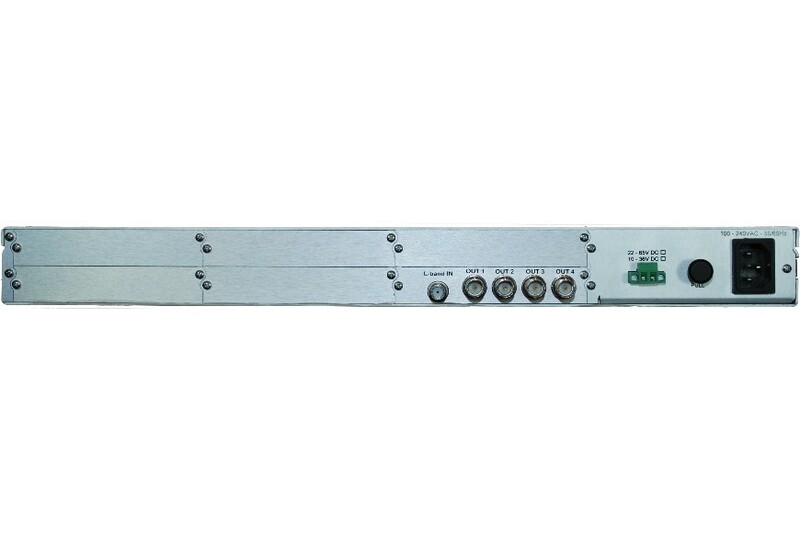 For satellite DVB-S2 contribution to transmitting sites in a TV or radio network, a multistream or single stream receiver is available; this is the XS4 board, equipped with one L-band input and four ASI outputs. The receiver can be connected with any kind of LNB and it's protected against overvoltages. 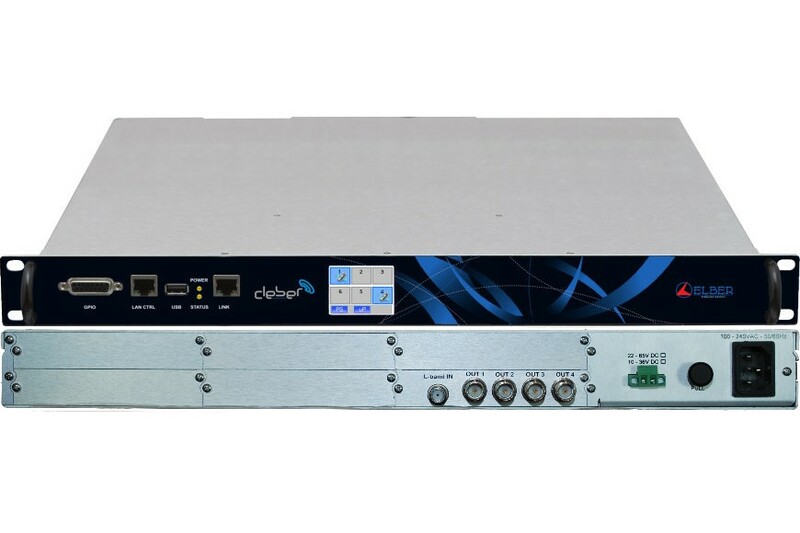 The DVB-S2 features a very low end-to-end delay and reduced overall jitter even in multistream configuration (it supports up to 4 ISI simultaneous demodulation in QPSK/8PSK and two ISI in 16-32APSK). Furthermore, it is possible to have a shortened analysis of TS based upon ETR 101.290, so as to check TS availability and errors. 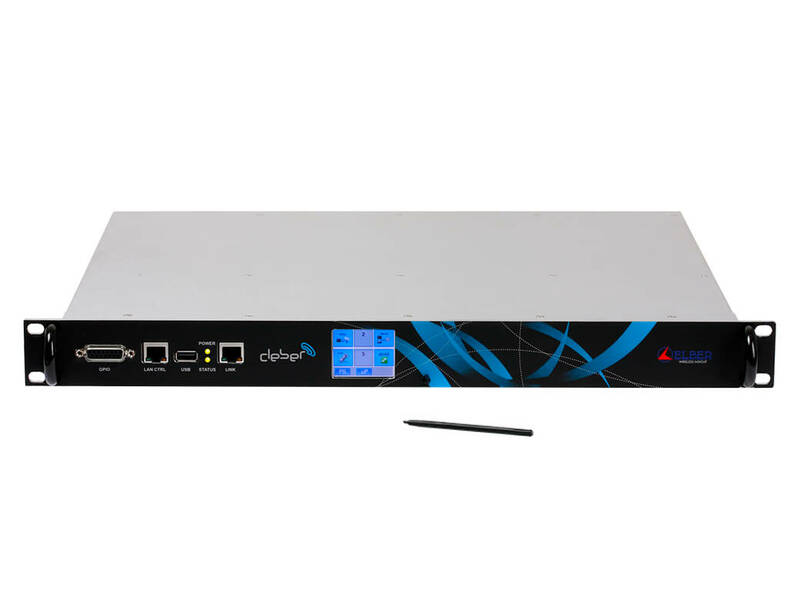 A very intuitive WEB interface let the user configure and monitor very quickly the equipment, without dedicated software. All this features make the CLEBER-XS4 the best solution for distribution and contribution networks to feed TV and Radio Transmitters.